The first time I heard the boys sing, I was so amazed and amused. They were like angels singing with such soothing voices blended into one harmonic voice. The group is called Libera. I first saw and heard them sing in Showtime, and I was so amazed at how they sang Ang Bayan Ko as if they were singing it in their own language. 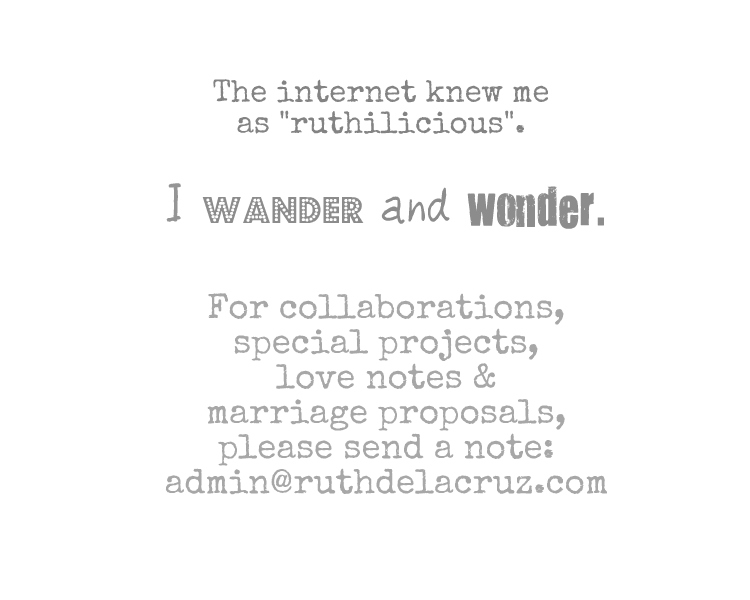 The English accent made the rendition more special. from the parish choir of St. Philip's, Norbury, in South London. The boys are back in the country and they are bringing us a Christmas Album with 16 tracks collecting traditional and new unique arrangements of classical and contemporary holiday tunes. 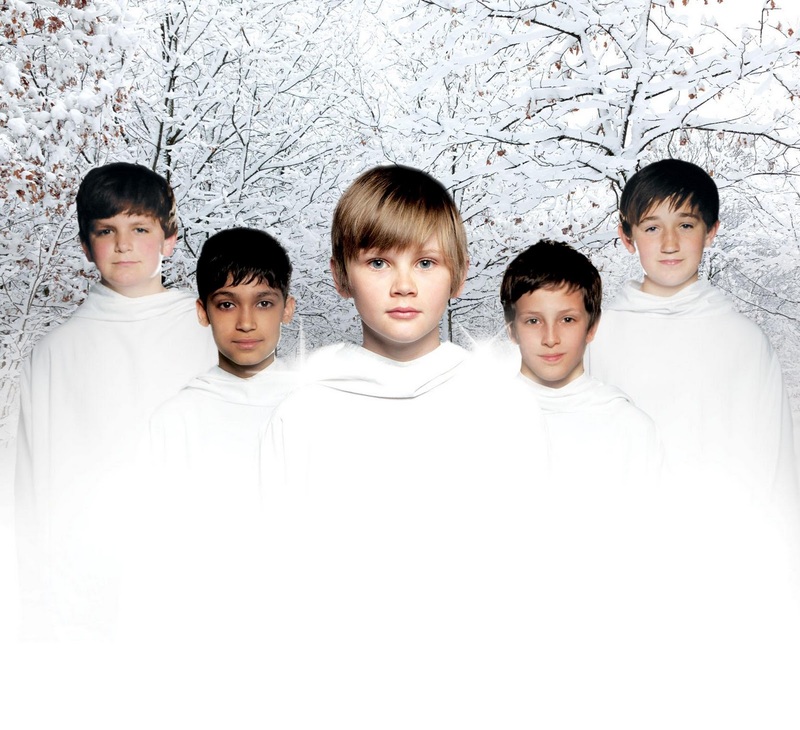 EMI Music though Polyeast Records releases Libera’s highly-anticipated first Christmas album. 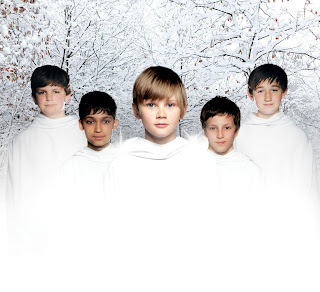 With their exciting mix of secular and sacred Christmas favorites including Joy to the World, O Holy Night, The First Nowell, Carol of the Bells, In Dulci Jubilo and White Christmas, join Libera as they bring in the holiday season with Christmas Album packed in Deluxe CD set that includes exclusive song cards. The kids not only captured the hearts of Filipinos but also other geographies including UK and Japan. Their most recent release, Peace, was #1 in the UK, Japanese and Philippines classical charts; in the US, it peaked at #2 and hit the Heat Seekers chart. The boys in the group, under the musical direction of Robert Prizeman, come together to produce truly extraordinary music with results unlike any other vocal group around today. They first visited the Philippines in October 2009 and came back the year after for a sold out performance at the Philippine International Convention Center. They also performed at the Pacific Grand Ballroom of Waterfront Hotel, Lahug, Cebu City. The concert repertoire for the tour included "Orinoco Flow," by Enya, which makes reference to the island of Cebu. The encore song was "Bayan Ko," which they sang in Tagalog. 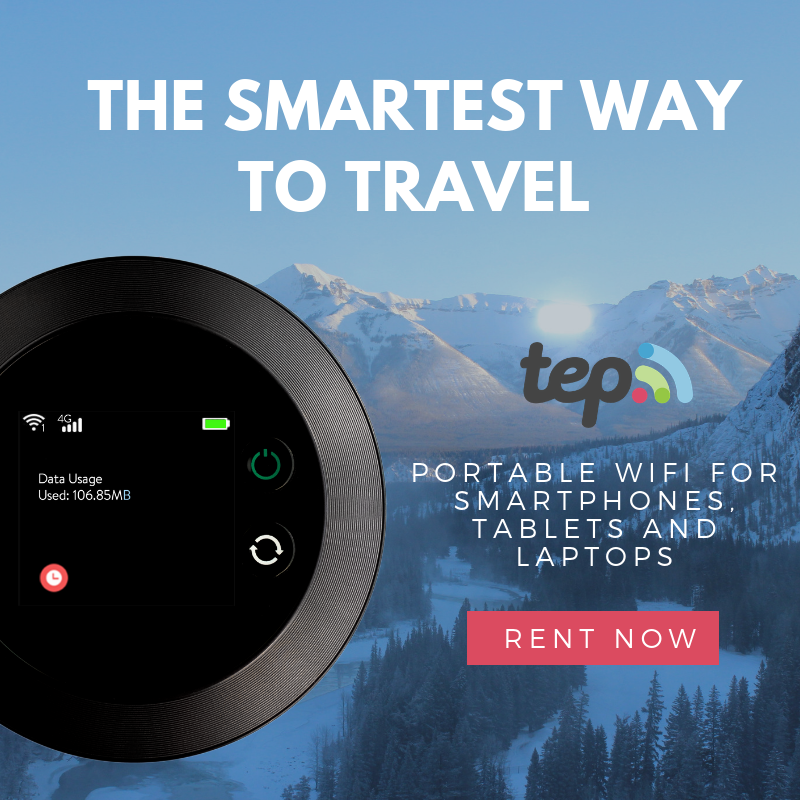 If you missed the boys and their performances, it is now the perfect time to catch them and hear them (and possibly meet them!). Libera will be performing songs from their Christmas album at PICC Plenary Hall on 25 October 2011 at 8:00 pm and Waterfront Hotel Cebu on 28 October 2011 at 8:00 pm. 3287917). 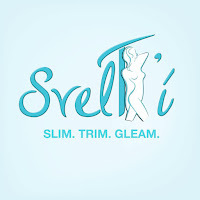 Please visit http://libera360.com for more ticket details. Album buyers at both events will also be given a chance to have a “MEET AND GREET with LIBERA” and exclusive mall signing on October 23 (Sunday), 4pm at SM The Block North Edsa and October 27 at SM City Cebu. Get a copy of Libera’s Christmas Album at selected Odyssey and Astroplus outlets and be a lucky winner to see LIBERA in PICC. For more info, please visit www.polyeastrecords.com. 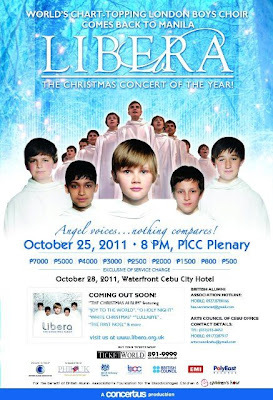 Libera Christmas Album is released by Polyeast Records for only Php 400.00. We can temporarily turn off our inner rockstar as we listen to these boys!